Ahead of Nigeria’s AFCON qualifier against South Africa on Saturday, Ahmed Musa has said that Super Eagles are in SA for the three points against Bafana Bafana. The Stand-in Captain of the Super Eagles, Ahmed Musa, on Friday said that the Nigerian national team would not play for a draw in South Africa. The Super Eagles are scheduled to play the second leg of Group E top-of-the-table clash with South Africa at the FNB Stadium on Saturday. Musa, in a statement signed by Demola Olajire, Head of Communication of Nigeria Football Federation (NFF), said that the Super Eagles are not thinking of simply gaining a point from the encounter. “Our determination is to win and pick our ticket to the AFCON ahead of the final match day next year. South Africa came to Nigeria to beat us and we are here to return the compliment. “We will not be playing for a draw. We won in Seychelles and against Libya in Tunisia and we are here to win as well,” Musa said. He, however, admitted that Saturday’s encounter would not be for the faint-hearted. “They are a strong team and we will not under-rate them. But we are here for the three points,” Musa said. The News Agency of Nigeria (NAN) reports that Nigeria has not beaten South Africa at senior men team level in the last four encounters between both nations. A 2015 AFCON qualifier in Cape Town in September 2014 ended scoreless, before the Bafana Bafana held their ground in a 2-2 draw in Uyo two months later to deny the Super Eagles a place at the 2015 AFCON in Equatorial Guinea. Both teams tied 1-1 in a friendly in Nelspruit in March 2015 before the Bafana shocked the Eagles in Uyo 2-0 on Match day 1 of the current qualifying series. NAN reports that the chartered MAX Air plane that flew the Nigerian delegation, led by NFF 1st Vice President, Seyi Akinwunmi, landed at the Oliver R. Tambo International Airport at about 3.30 a.m., South Africa time. The contingent consists of 23 players, team officials led by Technical Adviser Gernot Rohr, members of the NFF Executive Committee, some members of NFF Management and NFF Staff and a number of media representatives. The Super Eagles will have a feel of the turf of the FNB Stadium as from 3pm on Friday. Meanwhile, the Super Eagles technical adviser said that injuries and suspension that have ruled out four players in the squad would give opportunities for other players in the team. Recall that the first choice goalkeeper, Francis Uzoho, alongside Abdullahi Shehu and Odion Ighalo are not in South Africa as a result of injuries, while Wilfred Ndidi is suspended after cards against Seychelles and Libya. “I am happy we have a young team determined to achieve. Everyone here is good enough to represent Nigeria and they will go in there and do the job,” Rohr said. 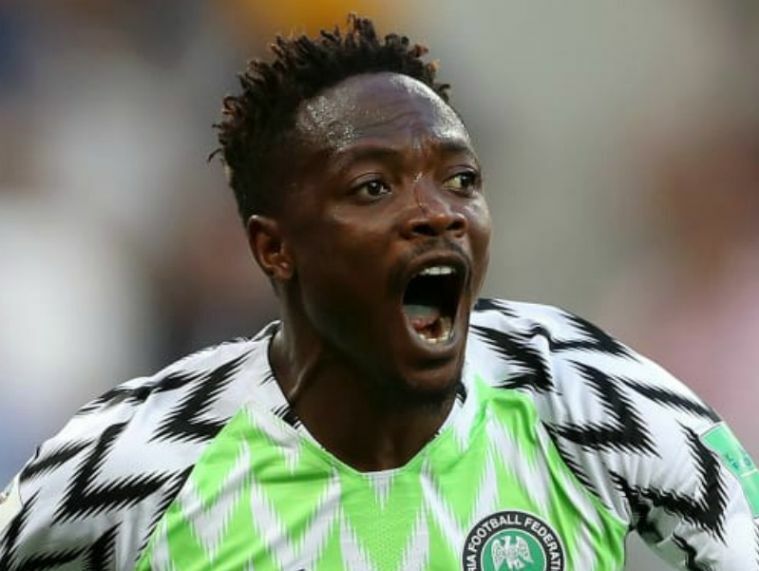 The post Nigeria vs South Africa: We Are Here For The 3 Points – Musa Speaks Ahead Of AFCON Qualifier appeared first on Naijaloaded | Nigeria's Most Visited Music & Entertainment Website.